Contains: One (6.4 mL) refill liquid bottle. 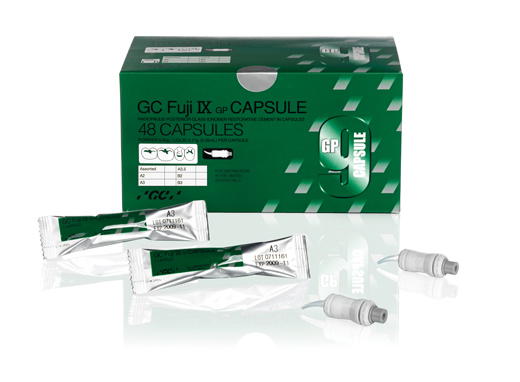 GC Fuji IX GP is the easy-to-use, handle and place fluoride releasing alternative to expensive compomers and composites and in many cases, amalgam. It cures extremely hard and is very wear resistant. As a true glass ionomer, it chemically bonds to tooth structure, has a tooth-like coefficient of thermal expansion and releases significant levels of rechargeable fluoride. It is available in hand-mix powder-liquid and premeasured capsules.